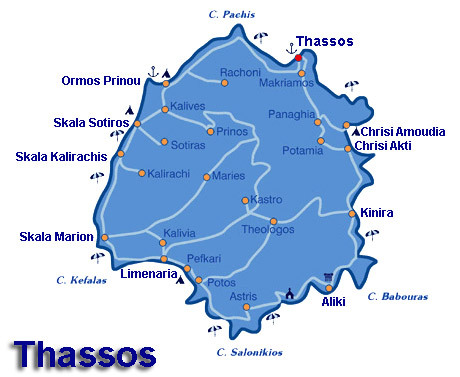 For some unknown reason, when I stumbled upon an article about Thassos twelve years ago, I thought that it would say Thassos is a tiny island with no nightlife or beaches. I was pleasantly surprised, I have to say. See, package tourism may be generally "quarantined" in this island, but while I was expecting that to mean there's not much Thassos can offer, I found there's plenty. Obviously, I was so intrigued I decided to suggest visiting it to my friends. After I got all organized, I gathered them and answered all their questions. Leela and Chris were easy to convince, but Evelena and George were a little hesitant. Thankfully, my replies were enough and a day later we bought tickets and booked rooms. We spent one week in Thassos. It was the first island we visited that summer and, let me just tell you, it was so beautiful that my friends actually decided we'd visit it again next year. Unfortunately, we didn't, but we plan to this summer. If you search for accommodation in Thassos I recommend you to visit Thassos Hotel Online Bookings. There, you can make your reservations directly to the hotels and find rooms in low prices and useful guest reviews. What does Thasos look like? "The emerald isle": that's how some people call Thassos. Inhabited since the Stone Age, this relatively unspoiled island is almost perfectly round. Some people describe it as a giant lump of marble. What's so breathtaking about Thassos is the way the vestiges of the ancient city blend into the modern town of Limenas, also known as Thassos Town. The villages are shaded by huge oaks and plane trees watered by streams and springs. Thassos is mantled with intensely green pinewoods, plane trees, walnuts and chestnuts and it's full of excellent white-sand beaches. Which places should I not miss in Thassos? 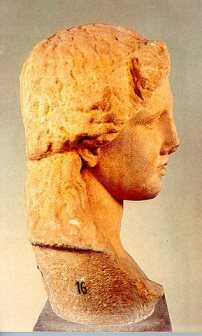 Thassos has three museums that are all well worth visiting. The first one is the Archaeological museum, next to the ancient Agora, which houses finds from the site of Ancient Thassos. I remember it's been closed, but I'm not 100% sure, it might have reopened. 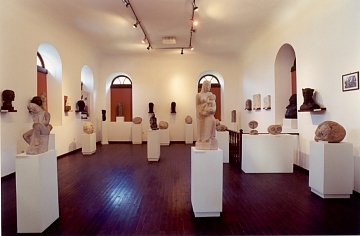 The second museum is the Folk Art Museum in Potamia. Finally, there's Polygnotos Vaghis Museum, which features the work of the eponymous locally-born sculptor. 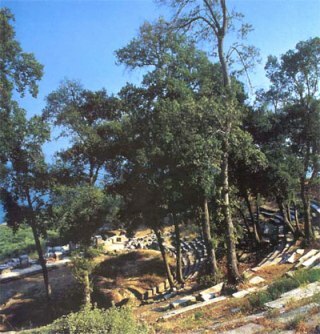 Are there any archaeological and historical sites in Thassos? I have to admit, I was rather shocked when I found out just how many archaeological sites Thassos has. Where should I begin? Well, I'm going to start with Kastro, since I'm a castle person. The Kastro of Thassos in Limenaria is the most naturally pirate-proof of the inland villages. If I remember correctly, it was built by a succession of occupiers from the masonry of a temple of Apollo. Then there's the Temple of Dionysos, where a 3rd-century BC marble head of the god was found. The Hellenistic Theatre has spectacular views out to sea. Each year performances of ancient dramas and comedies are staged there. Then, there's the Ancient Agora, the bustling marketplace of ancient and Roman Thassos. Ancient Agora was the centre of civic, social and business life. You can see foundations of stoas, shops and dwellings there. The acropolis offers magnificent views from its topmost point. There's also the shrine of Pan, visible in badly eroded relief, and the gate of Parmenon, the only ancient entry still intact. As I already mentioned, Thasos has many excellent beaches. One of their main characteristics is the magnificent landscapes that surround them. Alyki is one of the best beaches in Thasos. The sand is white and soft and the waters are calm in this beautiful, picturesque beach. Psili Ammos has soft white sand as well, with crystalline waters. Psili Ammos also attracts sunbathers because of its water sport facilities. 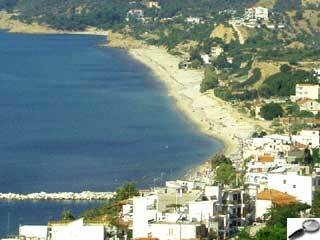 Rossogremos is a ravishing beach with mirror-like waters and white sand, shaded by trees. Chryssi Ammoudia has golden sand and crystal-clear waters and is surrounded by dense vegetation. 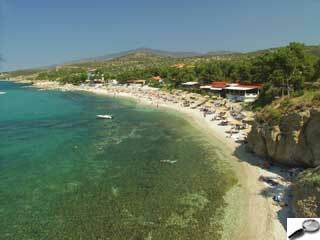 As for Skala Prinos, it's a fine sandy beach with emerald waters, shadowed by trees. 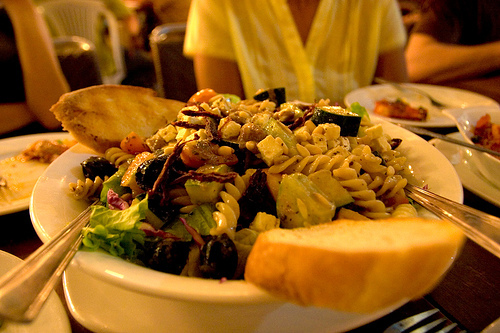 Where should I eat in Thassos? If you avoid the tourist traps, you'll find several restaurants in Thassos Town well worth eating at. First of all, there's Toxotis, a local favorite. This beautiful restaurant serves well-prepared Greek dishes; definitely try the kleftiko (slow, oven-baked lamb or goat). Simi is pretty good as well, with nicely set tables and white tablecloths. It has a classy look and cuisine. Try the fish, they're always fresh. I Kokkinia is an excellent taverna with several traditional dishes. Fish is the specialty but you can also try the chargrilled meat. Finally, there's Pefkospilia, a cute, traditional family-run taverna, which serves local specialties. Try the mourmoures (a delicious fish), the kavourosalata (crab salad) and htapodokeftedes (octopus rissoles). The nightlife is young and active in Thassos, with several excellent bars you can visit. First of all, there's Platea Bar, a local favorite with shaman-style hand-crafted dιcor. The music is good and the atmosphere is welcoming. The Drift Chill Out Cafι is a cafι-bar with a nice laid-back outdoor setting. Full Moon Bar is very popular, with very good music. Mandragoras Bar serves coffee and snacks in the morning and cocktails and drinks at night. As for Cool Bar, it has a thriving setting, the ideal place to relax and have a cool refreshment, drinks and cocktails until the late hours. You can get to Thassos through Kavala. The Kavala airport receives international charter flights and twice-daily flights from Athens. 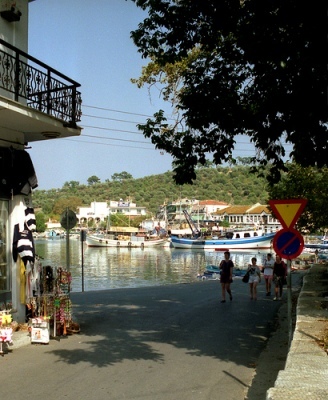 Then, Thassos is connected with Kavala by ferry, Skala Prinos almost every hour and Limenas once per day.